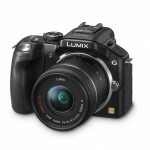 Panasonic has announced a new Micro Four Thirds interchangeable lens compact camera. 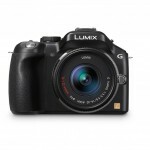 With a 16-megapixel Live MOS sensor, 60 frames per second full HD video, an electronic viewfinder and tilt-swivel touch screen LCD display, the Panasonic Lumix DMC-G5 is positioned below the top-of-the-line GH2 and GX1, and above the more point-and-shoot-y Lumix GF5. 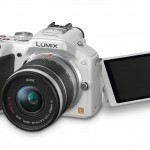 Panasonic says the 16-megapixel Live MOS sensor and Venus Engine image processing have been updated to produce better image quality. The G5 is also faster and the LCD display has been updated with new touch screen features and the resolution has been increased to 920,000 dots. 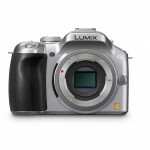 Aside from the obviously improved grip, at first glance, the G5 looks a bit like a warmed over Panasonic G3. 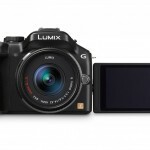 It wasn’t until I took a closer look at the specs compared to the other Panasonic G-Series cameras that I started to get interested. 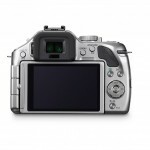 The G5 has improved image quality with ISO increased to 12,800, better video specs, faster burst rate (6 FPS vs. the G3’s 4 FPS), better battery life, an improved LCD display with new touch screen features, expanded Creative Control Mode options (increased to 14 filters including Soft Focus, Cross Process, Toy Effect Retro, Sepia, Miniature Effect, etc. ), and a new Scene Guide that uses sample images to teach photographers about advanced settings and techniques. There’s also a new programmable control lever on the top panel. 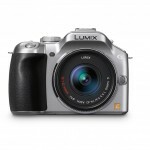 It adds either a second exposure control or another way to control the zoom on Panasonic’s power zoom lenses. 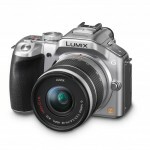 It may not seem like much if you’re used to a point-and-shoot camera. 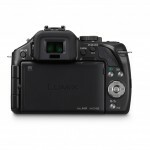 But trust me – a second dedicated exposure control makes fine-tuning your exposure much faster and more intuitive. 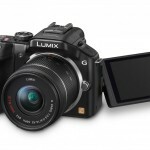 The viewfinder is a 1.4-million-dot EVF and Panasonic added a new eye sensor that allows the camera to sense when you’re using the electronic viewfinder so it can automatically toggle between the EVF and LCD display. 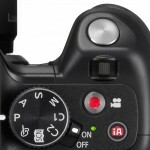 A new feature called Eye Sensor AF takes advantage of the eye sensor and starts focusing as soon as you put your eye up to the viewfinder so you’re more likely to be successful with spontaneous photo opportunities. 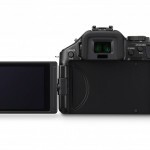 There’s also a new “Touch Pad” feature that allows you to use the Touch AF on the LCD while looking through the viewfinder. 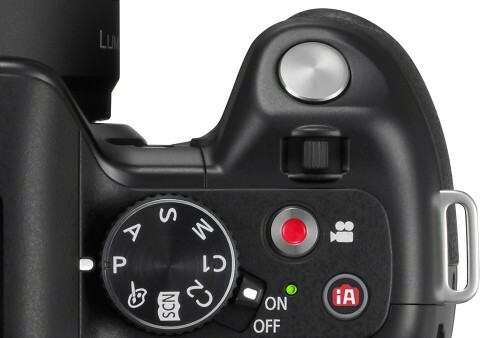 This could be a huge benefit for videographers, making it possible to use the EVF for added stability while using the touch screen LCD for selective auto focus. 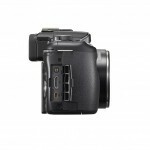 I’d really like to try that myself to see what the display in the EVF is like and find out how well it works. 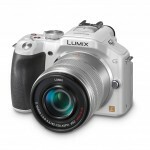 The Panasonic Lumix G5 will be available in black, silver and white. 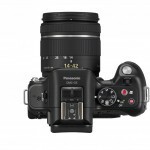 Panasonic hasn’t said when it will be in stores yet but it’s already listed for pre-order on the B&H Web site for $799, with the 14-42mm f/3.5-5.6 kit lens.